I was a good girl this year. I behaved myself, paid my bills on time, dutifully took my turn at carpool, and apart from a periodically messy house, was a good mama. Santa was good to me. I’m not bragging about the makeup-centric booty he brought, but to tell you how much it will benefit you. 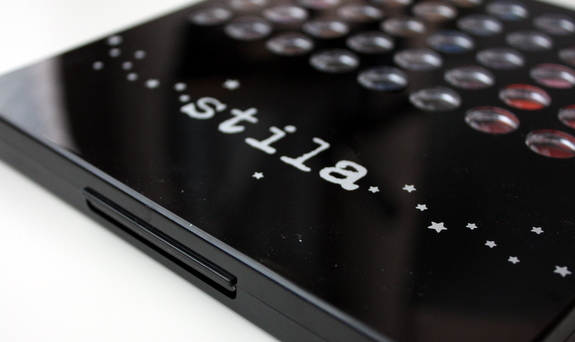 You see this makeup palette from Stila? 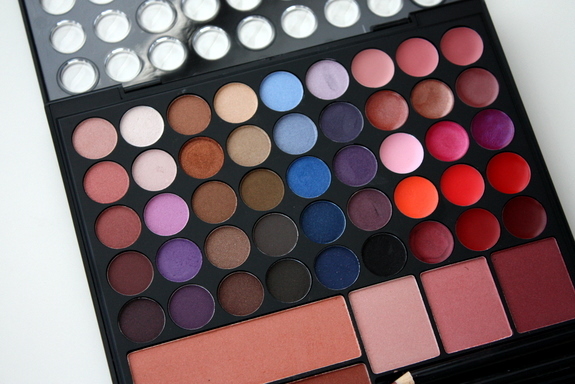 You can’t even imagine how many makeup tutorial videos I’m envisioning right now. That deep blue is sparkly, and the midnight black is so sultry I did a whole smoky eye on my hand before I put it away. That didn’t really make sense, did it? I test out eyeshadow on the top of my hand before I ever put it on my eyes. I don’t know why, I just do. So if there’s a makeup look you’re really itching to see in the new year, shout it out in the comments and I’ll add it to the vlog list. I’m not kidding here, this makeup palette from Stila is only the beginning of the makeup on my bathroom counter right now and I’m dying to start playing around. Today is Viktor’s 34th birthday and we’re still in the midst of holiday celebrations around here. I’ll be posting here and there this week, but won’t be back permanently until January. I need a break, yo. it was just a matter of time my friend…i had a feeling! hope your holidays have been fantastic! Then, maybe you could give readers from outside of your area the challenge of duplicating the look! Ooooh…I got that set for my birthday last month! My favorite look right now is to use the top left pink to do my under-eyebrow and corner of my eye, then sweep the second one down on my lid and finish up with the third one down right on my brow bone. Top it all off with a thick coat mascara and I’m good to go. The colors are just perfect and actually make the rest of my face look more done up! The bottom row of lip gloss goes on SUPER pink, though. I have to stick to the coral-y colors up top. Love the smokey, which I still need you to create for me. But I’d love an everyday eye choice. Nothing crazy, you know me!! Well Santa did a great job! I’d love to see all kinds of eye shadow tutorials! If you want some more fun multi-hued colors to play with I’ll send some your way. Also… you could even request some color you’ve never seen on the shelf and I’ll create it just for you. :) I’d be happy to do a giveaway for your readers as well. 1) something with greens? I love green and I can never figure out how to wear it with my brown eyes in a way that is not overwhelming. 3) something involving whites for winter? i love creamy sweaters and cozy outfits and I need makeup to match or at least coordinate and look semi natural/ neutral! Thanks! 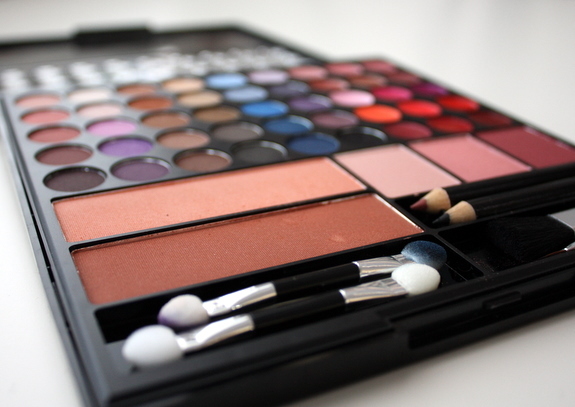 I love makeup and hair tutorials so I can’t wait to see what you come up with! I’m not sure this counts as make-up but I’ve been patiently waiting for your manicure tutorial (hopefully I haven’t missed it!). I’ll happily spend hours getting it right so my nails will stay in shape for more than 2 days. Happy New Year!! !